Libraries of the future may look quite different from what you've become used to. We're already able to carry around huge collections of novels, newspapers, magazines and more on one handheld electronic device. But there's still something special about a trip to your local library. The smell of real books, the peace and quiet, the friendly and helpful librarians, let's hope we never completely lose libraries. They are crucial parts of every community! 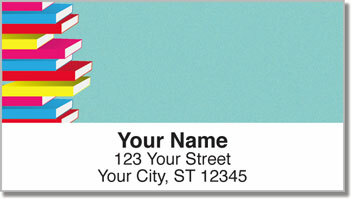 Library Address Labels are a great choice for bookworms! 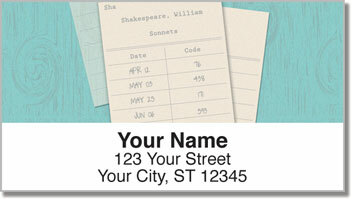 Stick them on every envelope and discover how much easier it is to complete the task of preparing your outgoing mail. That's thanks to a convenient self-adhesive backing. 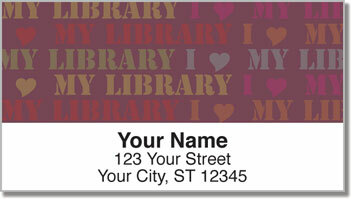 Get your own Library Address Labels today! 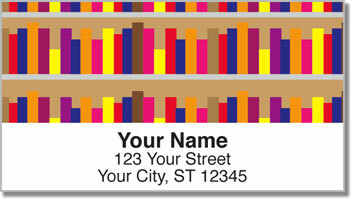 We also offer matching personal checks!